Zingy, jazzy and bouncy feelings will explode after your first bite of our lemon cakes. 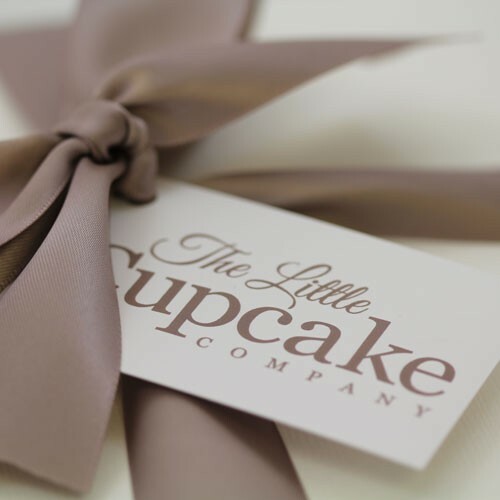 Our, melt in your mouth, sweet and tangy lemon sponge cake complete with lashings of delectable frosting will bring a beaming ray of golden sunshine to even the dullest of days. 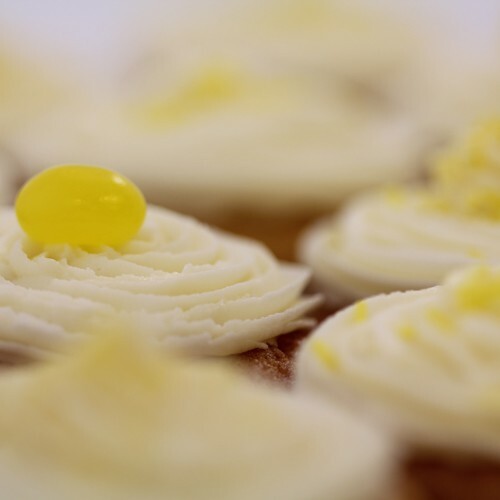 We only use real lemon juice to flavour our lemon sponge and you can really tell as soon as you bite into the soft interior of these gorgeous cupcakes. 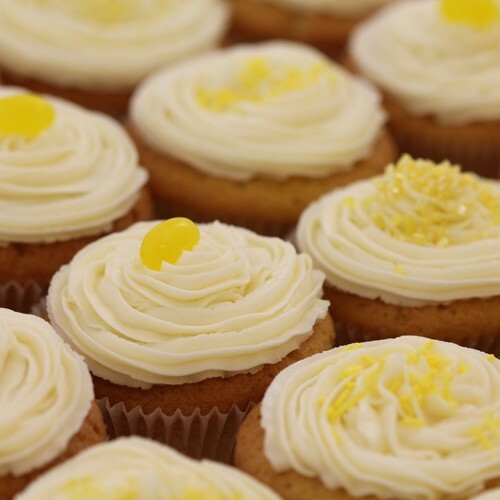 For a zingy citrus sensation, choose these superb lemon cupcakes and you will never look back. These are the tarte citron of the cupcake world, adding zest to a dull day and bringing that Mediterranean feel to such a sweet treat. Indulge, relax and enjoy, our tantalizing lemon goodies will make you feel heavenly contented and leave you wanting more. There is nothing bitter about this beautiful little delights!